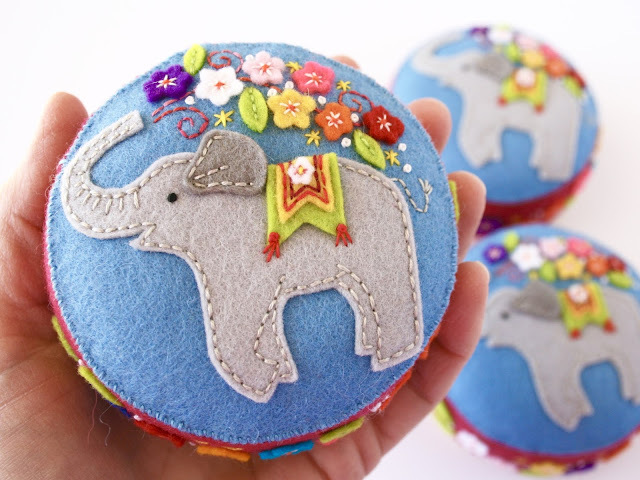 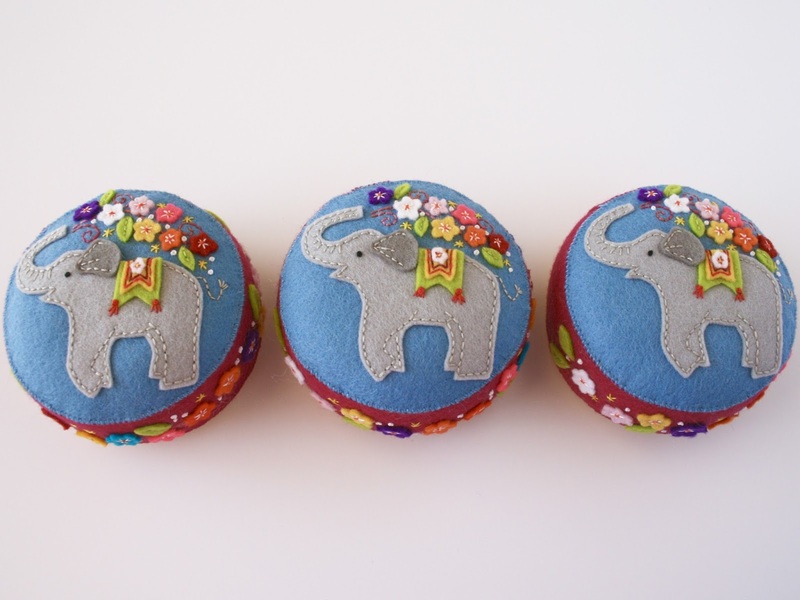 I realized as I was looking through my photos this morning, that I didn't show my finished elephant pincushions. You can find the post about making those pincushions here. 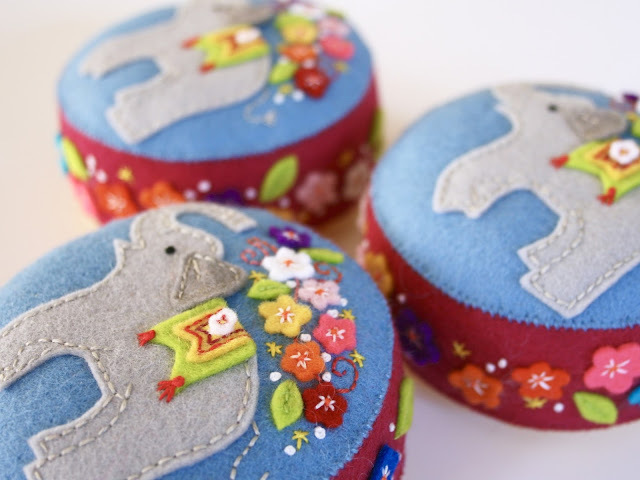 So here we go, some colorful little elephants to make you smile.